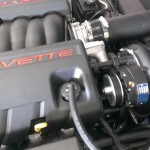 I would like to thank you and your team at Dynospeed for tuning my 2011 Base LS3 Corvette after I installed the A&A Vortech Supercharger kit. 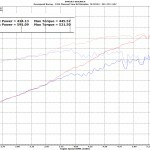 Your team did a fantastic job of tuning it to achieve 591 RWHP. I was pleased that this was not a canned tune or simply a few pulls and send me on my way. I really appreciated that you took the time (9 AM to 5 PM) to correct the mail order tune I received, diagnose and correct my installation mistakes, take it for a test drive tune, and then take me for a test drive to explain the in’s and out’s of what to expect from my new found horsepower. I plan to take my car to you for all of my future performance needs, not just tuning. I found your shop to be very clean and your associates extremely friendly and professional. and treat the owners correctly.